President Mnangagwa has ruled out the formation of a Government of National Unity (GNU) with MDC-Alliance, saying the ruling Zanu-PF had won an overwhelming people's mandate in the July 30 harmonised elections. The President, who is also the ruling party's First Secretary, said this while opening the 110th Ordinary Session of the Central Committee at Zanu-PF Headquarters in Harare yesterday. "After the announcement of the election results by the Zimbabwe Electoral Commission (ZEC), Zanu-PF got a two thirds majority in Parliament which was two times more than what they (MDC-Alliance) got," he said. "So when you hear them saying we want a GNU, you should ignore them. They are daydreaming. As Zanu-PF you should not even think that there would be a GNU. We don't have any plans for a GNU in our party as Zanu-PF," he said. "They challenged the election results at the Constitutional Court (Concourt) and lost. They did not ask for the opening of the ballot boxes because they knew they would lose again. You now hear them making all sorts of noises, but you should not be bothered about that. That is what losers do," President Mnangagwa said. "We should now concentrate on fulfilling the mandate we were given by the electorate in the next five years. We should build the economy and put politics aside. "We are now seized as Zanu-PF with growing of the economy; with finding solutions to resolve all the economic challenges the country is facing as a result of sanctions which we are facing as a country." MDC-Alliance has been calling for the formation of an inclusive Government or what they call a "transitional authority" despite its electoral losses. 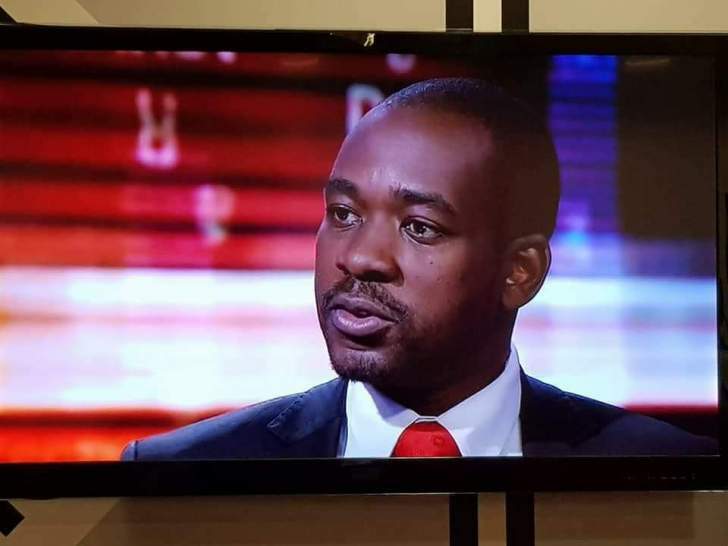 Party leader Mr Nelson Chamisa pleaded for the formation of a GNU during a march by his party activists last month. MDC-Alliance has refused the acknowledge President Mnangagwa's victory, saying it was a result of fiddling with figures by the Zimbabwe Electoral Commission (ZEC). Calls now by the opposition no longer have traction, with Sadc saying there was no need for a GNU since President Mnangagwa and Zanu-PF's victory had been widely accepted. Meanwhile President Mnangagwa called for unity within the party saying all structures should implement agreed party programmes. "As we work towards building the economy we should be united and implement programmes that we have agreed on. "All party organs should therefore understand where we are going and all the programmes that we have," President Mnangagwa said. Before addressing the Central Committee, the President addressed hundreds of party youths and thanked them for conducting themselves in a peaceful manner before and during the harmonised elections. He said the party and Government were now focused on economic revival to create jobs by attracting Foreign Direct Investment.